It used to be simple. In the old days, your sailmaker offered you one kind of mainsail, and sailors were generally happy with the result. You got a sail with a moderate roach, four battens to support that roach, a few reefs and some sail-trim devices, like a cunningham or a flattening reef. Today, however, mainsails seem to come in all shapes and sizes, with a wide variety of options. You can get a “regular” mainsail with short battens, a full-batten mainsail, or a 2-plus-2 mainsail with two full-length battens up high and two regular-length battens down low. You can have a mainsail that rolls up into the mast or a mainsail that rolls into the boom; a mainsail with a small roach, a moderate roach or a massive roach with a square head; a mainsail with inflatable battens, vertical battens or battens that “swing away” when not needed; or a mainsail with a single “conventional” reef, a single deep reef, or two or even three reefs. If all this is starting to sound like something from Dr. Seuss—you have them with a luff, you can sail by them in the buff—you’re not alone in thinking so. That said, these various features will have a direct bearing on how a particular sail performs. They will also affect its cost and, in some cases, longevity. Your problem, then, is to decide what kind of mainsail is right for your particular sailing application. Let’s look at the big picture first and start by remembering that 1) it’s the back end of your mainsail that works with your keel to provide lift when sailing upwind and 2) it’s the overall profile of projected area that helps you sail downwind. Therefore, the more area on the roach the better a given sail’s performance will be both up and downwind. Unfortunately, most boats have fixed backstays, which limits the amount of roach that can be added to the sail. This is the reason why many newer boats now dispense with fixed backstays and boast square-head, or square-top, mains. In fact, there is definitely a performance increase with that kind of profile. In their book The Art and Science of Sails, authors Tom Whidden and Michael Levitt point out that the most inefficient profile for a sail is a triangle—which, unfortunately, is what most pin-head mainsails resemble. 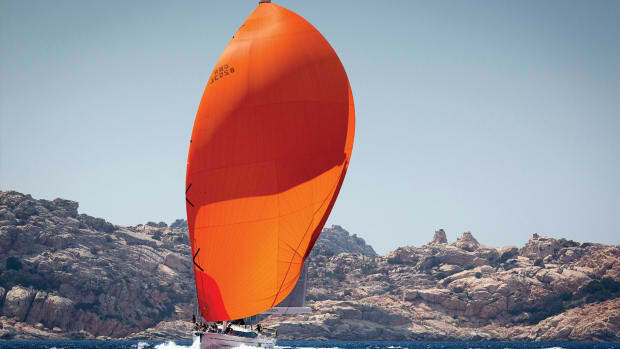 They go on to point out that a U-shape is much more efficient, which is why square-top, or fat-head, mainsails as they are sometimes called, are becoming more popular. Once you have decided on the profile, the next step is to look at the fabric or material. 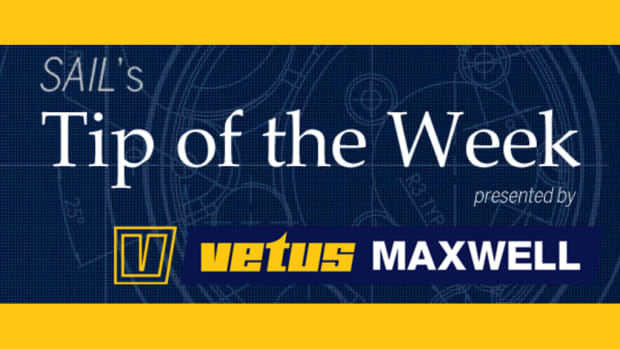 Just as there are many different kinds of mainsail profiles, there is also a myriad of choices when it comes to components and engineering. The factors that drive a decision on fabric choice are usually budget, sailing plans and a sailor’s desire for performance. Having said that, cross-cut Dacron sails have been around for decades, served sailors well and will be more than adequate for your boat if all you do is local or coastal cruising. However, if some racing or bluewater passagemaking is in your future, then a more robust fabric and perhaps more high-tech engineering should be on your radar. In fact, these days cruisers, as well as racers, are increasingly going for high-tech sail engineering for a number of reasons: not the least among them is that membrane sails or those in which you can see the individual fibers running precisely along the load paths, are becoming less expensive and therefore offer good value. Consider a cross-cut Dacron sail and how in any mainsail the highest loads will be along the leech. Since the panels in a cross-cut sail run all the way across the sail from the luff, you, therefore, end up with overkill fabric in the body and leading edge of the sail where the loads are significantly less. This not only means wasted material but added weight. 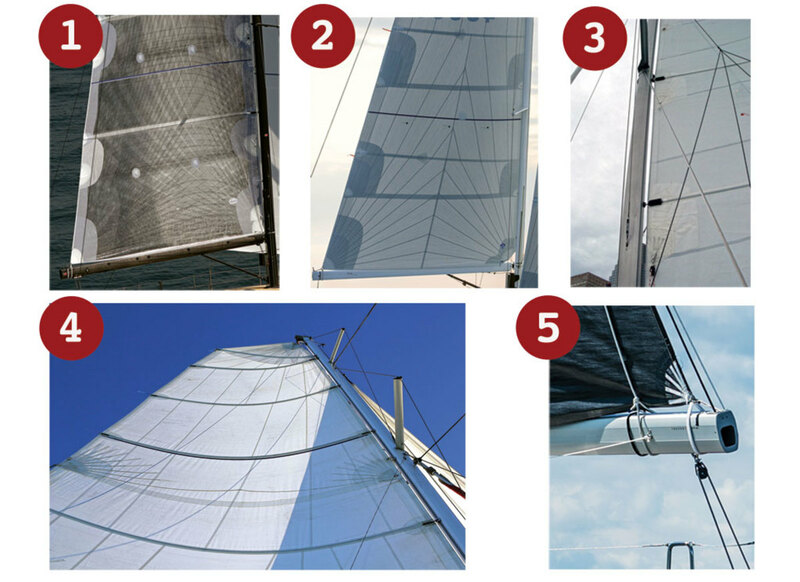 A step in the right direction is to make a sail from a laminate or fabric that allows the sail designer to build radial sails, or sails in which the panels radiate from the head, luff, tack and clew in the same general directions as the loads. This way you can have a heavier fabric in the high-load areas and a lighter fabric in the rest of the sail. Of course, the best solution in terms of engineering is to have yarns running precisely along the expected loads in the sail with each individual yarn being used with the most efficiency—which is precisely what you get using the membrane approach, regardless of the exact technology employed to lay down down the load-bearing fibers. With membrane sails, you are also able to use different kinds of yarns in the same sail. For example, the design might call for carbon fiber yarns in the more highly loaded areas and less expensive and less robust fibers in the body of the sail. 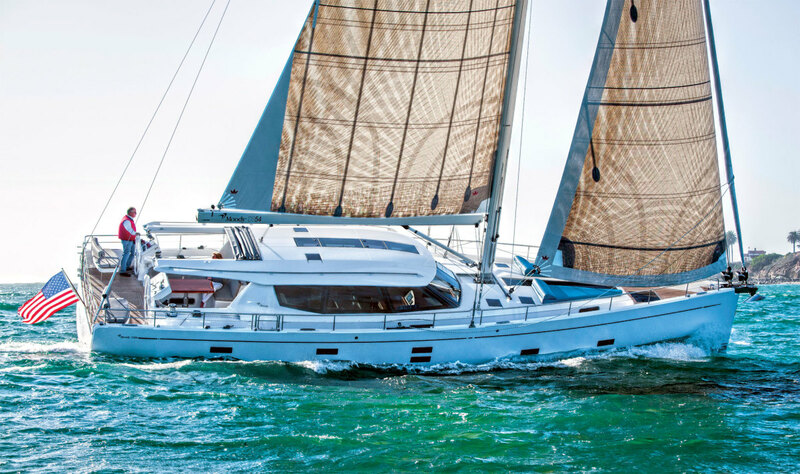 Note that sail weight offers multiple benefits, since lighter sails are not just easier to lug around on deck, but are easier to set and trim, and offer less weight aloft. This latter point is important especially for those planning long offshore passages since extra weight aloft adds to the heeling and pitching movement of the boat, which over time wears down the crew. After deciding on an overall profile, fabric and engineering, it’s time to look at some of the other areas of the sail that add to its durability. Corner reinforcement and edge trim: These are especially important areas of a sail that can serve to dramatically affect its longevity. If you are a coastal sailor, a basic layered patch at the tack and clew and reef cringles will be fine. However, if you are planning on crossing an ocean then larger patches that spread the load farther out into the sail are vital. You may also want to add a second leech and foot tape to give the sail some added durability. The Cunningham: Located on the luff, a short distance up from the tack is a reinforced ring called a cunningham. Its purpose is to adjust the amount of tension on the luff of the mainsail, which in turn controls the fore and aft location of the draft, or point of maximum curvature in the sail. As the wind builds, the shape of a mainsail changes, with the draft moving aft at precisely the same time you want it to be moving forward. This is where the cunningham comes in. When you tension the line that runs through the cunningham you are in effect stretching out the fabric, which in turn pulls the fabric in the belly of the sail, and by extension the draft, forward. The same could be achieved by raising the halyard, but it’s a lot easier doing so with a cunningham. Foot Construction: The foot of the main is one of the most versatile edges of the sail when it comes to manipulating sail shape since small adjustments can make big changes in the overall depth of the sail. 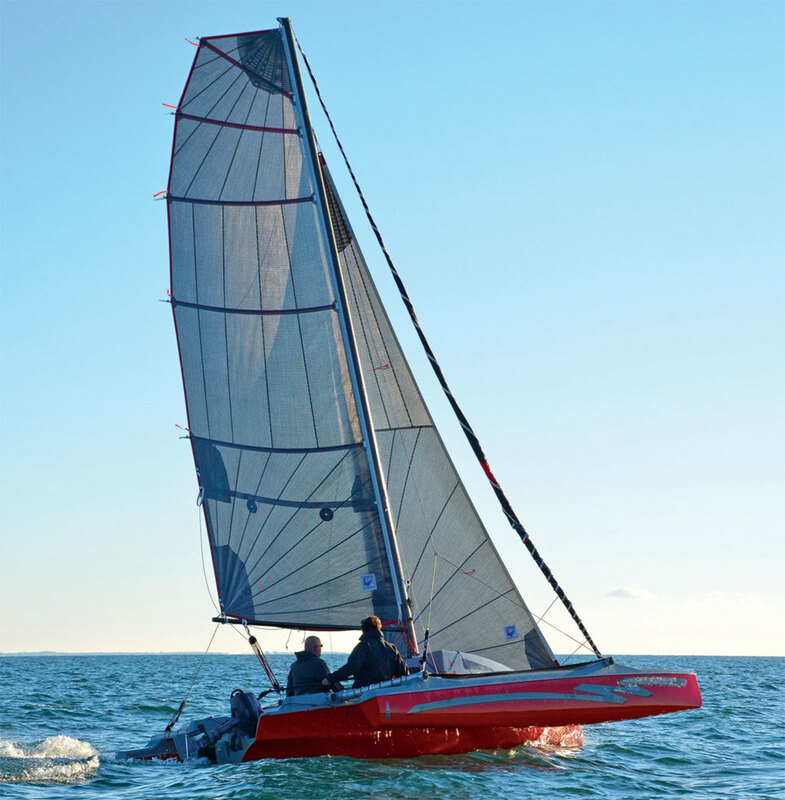 In moderate winds or choppy conditions, you can ease the foot to add shape, or curvature, to the bottom of the sail, thereby providing more power. Conversely, you can tighten it to flatten the sail when the wind picks up to reduce the amount of heel. These days most new mainsails are loose-footed. A loose foot is a much simpler system than the old foot shelf that was attached to the boom along its length. Often the outhaul car has also been eliminated, with the clew of the sail now attached with a Velcro strap that is wrapped around the boom, again a much simpler system. Flattening Reef: Many cross-cut sails are designed with what’s called a “tack seam” that runs from the tack of the sail to the leech. This tack seam has a lot of curvature built into it to add shape to the sail, and this shape migrates up into the body of the sail, adding depth. The flattening reef, then, is comprised of a single, reinforced ring on the leech a short distance up from the clew and above the tack seam. 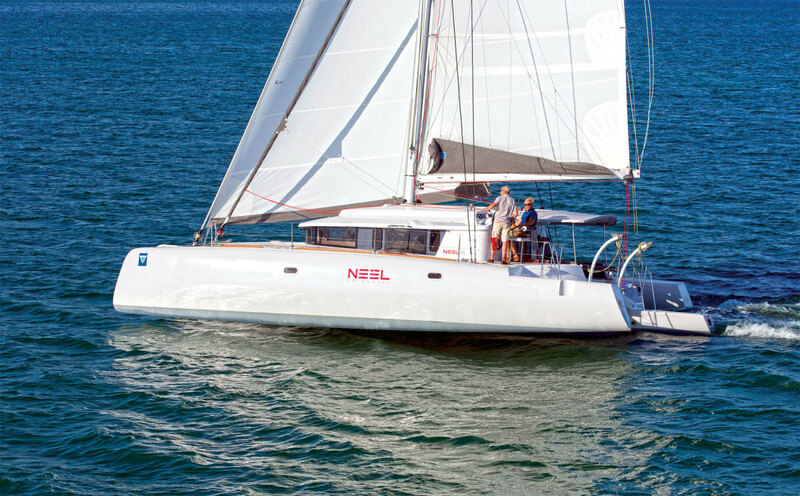 That way, if you want to “de-power” the sail by reducing its curvature, you can take up on the flattening reef thereby eliminating the effect of the tack seam and flattening the sail quite effectively. Leech Lines: Wind exiting off the trailing edge of a sail creates small vortices, and these vortices can set up a reverberation along the leech causing it to flutter. Leechlines are therefore often installed to stop the fluttering. The line is usually a low-stretch line like vectran or dyneema that runs inside the leech tape. On small boats where the boom is easy to reach, the adjustment for the leechline is normally at the clew of the sail. 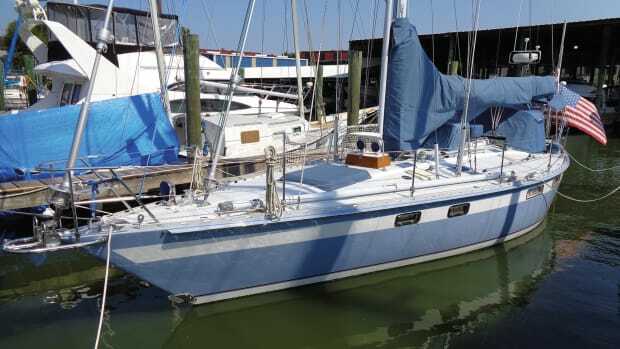 However, on larger boats where trying to make an adjustment at the clew would be impossible or impractical, the leechline is fastened at the clew and led over the top of the sail and down a pocket along the luff to an adjustment point at the tack. This is called an overhead leechline. On some boats, there are overhead leechlines on both sides of the sail, which allow you to make the adjustment from the windward side of the sail no matter which tack you are on. Once you bear away and the load comes off the leech, you will notice that the edge of the sail will curl inward because of the leechline, so don’t forget to ease it off when sailing downwind. 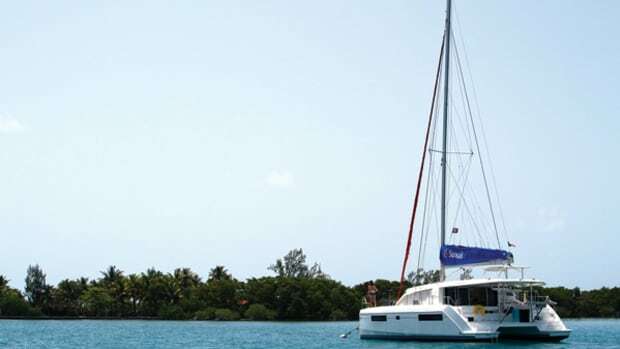 Reef Points: The size and number of reefs you need depend on your boat and the type of sailing you plan to do. There is really no point in having three large reefs in your mainsail if all you do is daysail on Long Island Sound since the winds are rarely that strong and there are plenty of places to find shelter in the event of a sudden blow. On the other hand, if you are heading across an ocean you need at least two if not three reef points to handle severe weather. It would be poor seamanship to attempt an ocean crossing with a single reef. 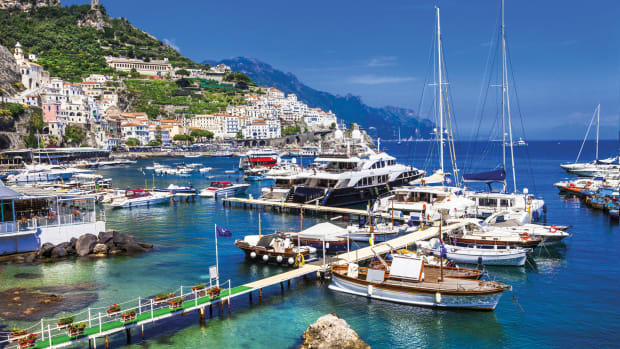 There are also some other variables that need to be taken into consideration: for example, the stability of your boat and the way you like to sail. Some boats are very tender, heeling over quite easily, in which case a second or third reef would be important. 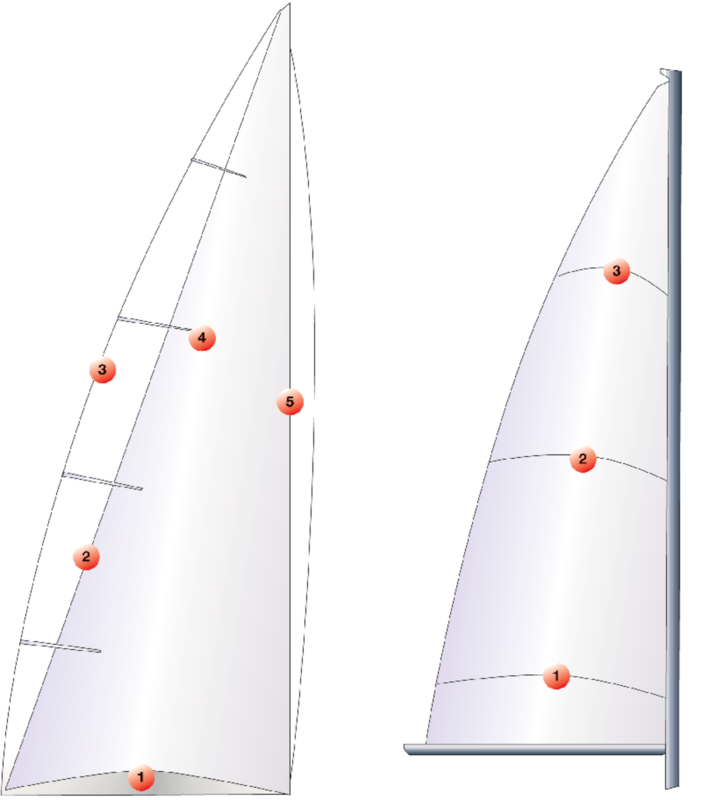 Similarly, some sailors like to keep their boats on an even keel even when it is not blowing hard, in which case additional reef points might also be called for. Remember, however, that reef points add weight to a sail, especially along the leech where they will directly affect your light-air sail trim. They also add cost. Many cruisers like the first reef to be deep, reasoning that if they need to reduce sail area they are going to make sure they get rid of a lot of it. Racers, on the other hand, like the first reef to be small, just enough for them to fine-tune the amount of sail they are carrying.  Don’t forget that the naval architect who designed your boat had in mind particular reef sizes in order to keep the center of effort of your boat balanced as you reduce the sailplan in a building breeze. Therefore, you might want to check the owner’s manual for locations. Ultimately, battens lend stability to a sail, which in turn prolongs its life. When you are tacking or reefing, for example, a sail with short battens will flog, which over time degrades the fabric. If you have at least one full-length batten in the sail, the flogging will be dampened. Full-length battens also make it easier to use the sail with some kind of lazy jack system or a lazy jack/boom cover combination, since capturing the sail between the lazy jack lines works much better when the sail is fully supported along its entire length. Finally, full-length battens help ensure a smooth sail shape and a make it easier to flake the main on the boom. Unfortunately, full-length battens also have their drawbacks. For example, full-length battens create a compression load on the luff end, making it necessary to add some kind of car system where the luff is secured to the mast. Theses loads, in turn, create additional friction, so that raising and lowering the sail can become an issue. Full-length battens will also dictate sail shape if the battens are too stiff, and can chafe against the rigging by providing a hard spot when sailing downwind. Personally, my ideal is a mainsail that has two full-length battens up high, with standard-length battens in the area of the reefs. The reason for this is that leaving them out down low gives you much more control over sail shape. In-mast Furling: In complete contrast to fully-battened mainsails with large amounts of roach, there is the in-mast furling mainsail, which is becoming increasingly popular because of the convenience it offers. 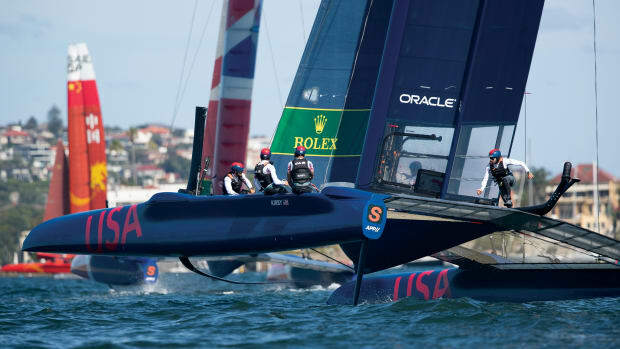 The problem, as previously noted, is that without a roach in the back half of the sail there is a performance penalty. Also, sails without battens end up as triangles, which we know is the least effective sail profile, so you inevitably end up paying a real price for that convenience. There are, however, some ways to mitigate the loss, the most popular of which is to add short vertical battens. Typically, these battens only replace the hollow that is cut from the leech in their absence, while also helping to stop it fluttering. Some sailmakers will add full-length vertical battens in an effort to gain some actual roach, but it’s a risky move. 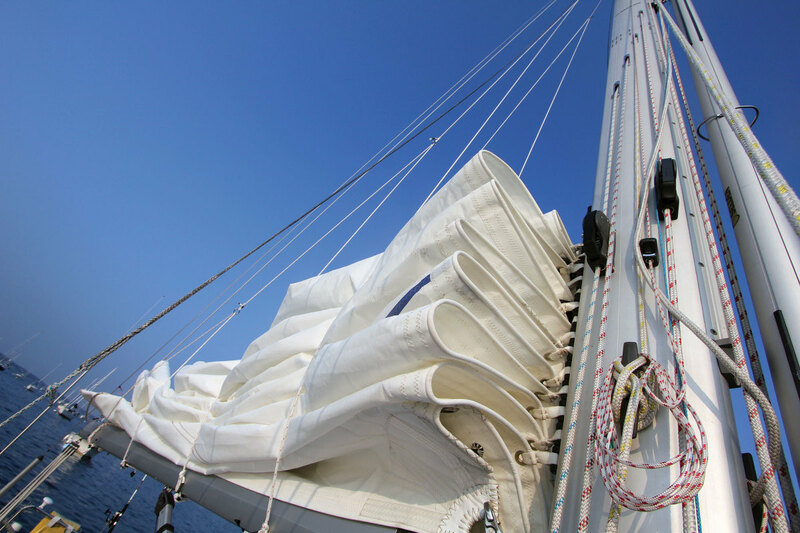 Most mast cavities are only big enough to accommodate the sail fabric alone. Add the bulk of full-length battens, and you may have a problem. In-boom Furling: Sails that stow in the boom rather than in the mast allow you to have a decent amount of roach, but they are not without their issues either. With these systems, there is a mandrel in the boom that the sail rolls around, and the challenge inevitably becomes keeping the sail from traveling either forward or backward along the mandrel and bunching up. (The trick is to keep the boom at a precise angle to the mast.) Sailmakers have come a long way toward engineering sails for in-boom furling, and skilled sailors are able to make it work. When it all goes well it’s a good solution. Ultimately, there are any number of different ways to skin this cat. 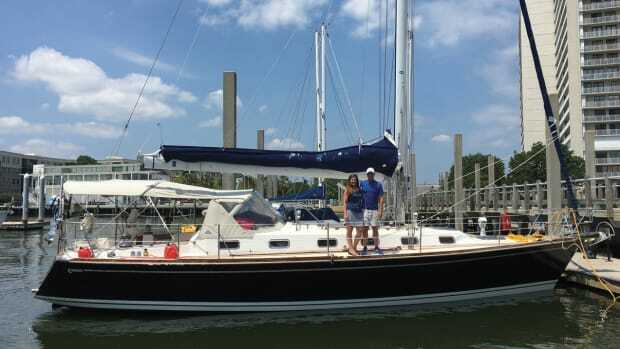 It all depends on how you like to sail your boat and what you expect in terms of both performance and convenience. 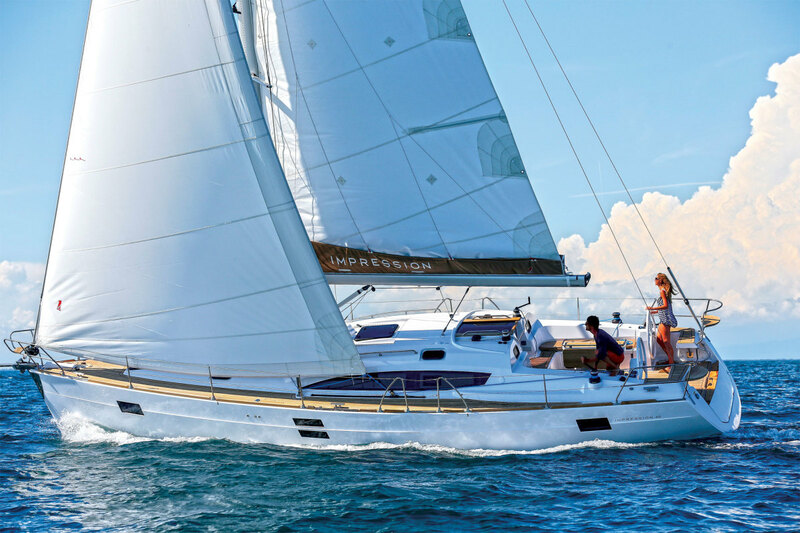 With this in mind, the best way to approach the purchase of a new mainsail is to write down what it is you want from the sail and cross-reference that with how you like to sail and how much money you want to spend. Pretty soon you will find yourself coming up with a good answer.